Serving the youth of our community for 21 years!!!! Thank you for making the last 21 years of football & cheer great! 2018 Registration is Now Closed!!! Online Registration is underway, click the Online Registration link to sign up today. Our Final Registration Date is Saturday, June 15th for football & cheerleading!﻿﻿ If you register online now, you can choose the Payment Plan option and stretch your payment out over a few weeks. If you need add'l help with the payments feel free to contact us directly. $265.00 PER PLAYER for all Non-Henry County Residents using LGFCA equipment. $225.00 PER PLAYER for all Non-Henry County Residents providing their own equipment. Fees include: Football:Games pants and jersey, rental of helmet and shoulder pads, registration cost, league fees, referees and insurance. Items not included in registration fee: Football: Cleats, practice pants, pads for pants, practice jersey, socks, mouth piece & chin strap. Football Camp $35.00 - Dates TBD at WH Park. For questions regarding Football please contact Trey Chitwood @ 678-982-2374. Fees include: Cheerleading:Uniform Top/Skirt, Bloomers, Shoes, Pom Poms (new registrations), registration cost, league fees, referees, county impact fee and insurance. Items not included in registration fee:. Cheerleading: Compeition fee, warmups, megaphone, crop-tops & competition bows and socks. These will be ordered at each team’s discretion. Fees include: Cheerleading:Competition Uniform Top/Skirt, Bloomers, Shoes, registration cost, county impact fee and insurance. Cheerleading: Compeition fees, warmups, crop-tops & competition bows and socks. These will be ordered at each team’s discretion. Cheer Camp $35.00 - Dates TBD 6:00p-8:30p at Ola High School. Spring Registration closes 3/2 @ 11:30pm. Register today to secure your spot. For Spring 2019 we will be offering Tackle Football, NFL Flag Football & Flag Cheerleading! Registration is now open. If you are interested in coaching, please email lgfcayouth@gmail.com and your info will be given to the correct person for each program. LGFCA would like to announce our NFL Flag Cheer Program for Spring 2019. We are excited to be part of the NFL Flag Football program and the NFL Play 60 movement, which encourages our youth to exercise for 60 minutes a day. We are a volunteer organization and its success derives from the dedication and commitment of our volunteers and you, our parents! If you have a passion for mentoring our youth and would like to be a part of our team as a Cheer Coach please contact our Cheer Director Courtney Masters at fryegirl1@yahoo.com. No experience needed! 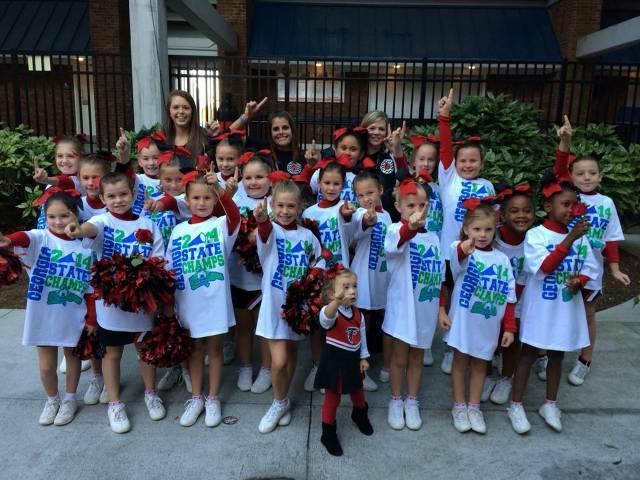 Our cheer program is designed to safely familiarize our young athletes with the fundamentals of cheerleading while teaching them the meaning of good sportsmanship, teamwork, and cooperation. But most of all, we are here to have FUN! Squads will be determined by age. Though we cannot guarantee, we will do our best to accommodate requests to keep siblings on the same squad. For safety reasons, no jewelry should be worn - no rings, bracelets, necklaces, hoop earrings. There will be no exceptions to this. Hair must be secured in a ponytail and away from face. 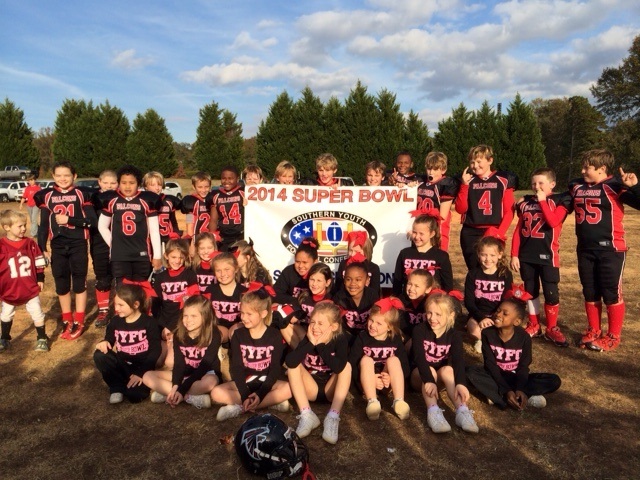 Cheer squads will cheer for LG NFL Flag Football teams in all age divisions. More information on game locations will be provided at start if season. Cheer schedules will be released 1 week prior to the regular league season. Game times vary on Saturdays. Our squads will cheer for different football teams each week as we anticipate having more football teams than cheer squads. Season runs from March 2019 to May 2019. We cannot guarantee your child will cheer for their sibling's football team. Fitting Date and Time: TBA. Cheerleaders will receive uniform, which includes Shorts, Tee Shirt, hair bow and poms). o All white athletic shoes - no characters, lights, glitter, or dangle charms. We currently have two vacation positions on our Board of Directors. We are currently accepting nominations. An election will be held on 2/16/19 to fill these positions. If you, or someone you know is interested in becoming a volunteer board member, please fill out the nomination form by 2/9/19. We will be giving out equipment & makeup uniform sizing this Saturday, July 21st from 9a-12p in the field 3 & 4 equipment room. If you are unable to make the uniform sizing, please email your child's sizes to lgfcayouth@gmail.com ASAP. Uniform orders are being submitted to the manufacturer Saturday night. We will also allow onsite registration for Football ages 4 until the teams are full. We are trying to field a 4U & 12U team this season, if you know anyone interested, please pass this info along. We also have a few spots open in 8U & we need a coach for 7U. Once filled these age groups will be closed. Team Mom Meeting - Thursday August 2 at 7pm Pressbox Fields 3&4 Mandatory and they need background checks and ID cards from Henry Co. instructions are listed below. Henry County Parks & Recreation has chosen SportsPilot for its online volunteer management solutions. Anyone requiring a background check to participate in Parks and Recreation programs now can complete an application online for a $6.00 fee. Once you have received an approved email, you will then visit any Recreation Center to receive your coach’s badge for $5.00 during the following hours: Heritage Park is open Monday – Friday 8am – 5pm; Fairview Recreation, Locust Grove Recreation and J. P. Moseley Recreation Centers are open Monday – Thursday 8am – 8pm and Friday 8am – 4pm. Please read the instructions below before starting to help you navigate through the registration with the new system. 1. Click ‘New User’; With this being the first year with the new online system, all members will need to add their account to the system; your account information will be emailed to you once it is set up. 4. After your transaction is complete, you will be notified of the result of your background check on the exit screen; Henry County Parks & Recreation will respond to any pending background checks to determine status of the volunteer. Our camp this year will be hosted by Locust Grove High School Coaches & Players with special guest, Charlie Jackson, Defensive Assistant for the Atlanta Falcons and former player of LGHS Head Coach Clint Satterfield during his time at Macon County. You can register the day of camp. Charlie Jackson is in his second season with the Falcons as Defensive Assistant/Defensive Backs Coach. His professional coaching background includes multiple defensive coaching roles with the Green Bay Packers and Denver Broncos and coaching fellowships with the Falcons and St. Louis Rams. He also served as a college scout for the Seattle Seahawks organization. He has collegiate experience at Colorado, UCLA, Utah State, Buffalo, the U.S. Air Force Academy, and as an executive in the College Football Rules Enforcement Group at the NCAA National Headquarters. Jackson was a Commissioned Officer in the United States Air Force before entering the coaching arena. He ascended to the rank of Captain while being stationed more than four years at Tyndall Air Force Base, Florida and Los Angeles Air Force Base, California. His duties included serving as the U.S. Government point man in negotiations with three foreign government agencies in support of international treaty agreements. Jackson was a defensive back at the United States Air Force Academy as a student-athlete, and he competed two years on the Air Force Academy’s indoor track and field team. Following his senior football season, Jackson was selected by his teammates as a permanent team captain and recipient of Air Force football’s highest honor, the Brian Bullard Award, as the player who displays unselfishness, pride in his role, total team commitment, and 110 percent effort. Jackson helped Air Force become a consistent member of the Top 25 national rankings including a Top 10 final ranking and conference championship in 1998. At one point during his tenure, Air Force produced major college football’s longest winning streak (11 games). Originally from Montezuma, Georgia, Jackson is a 1995 graduate of Macon County High School. As a football player at Macon County, he was a First-Team All-Area, All-Middle Georgia, and All-State football player. He was selected Georgia Region 1A Football Player of the Year and Georgia Class-A Football Defensive Player of the Year. He was also named to the Georgia Academic All-State football team for all classifications. Jackson graduated with a bachelor’s degree in management from the United States Air Force Academy. He earned a master’s degree in management and sports studies from California State University, Long Beach. Support LGFCA with your Amazon Purchases! Fall Cheerleading Registration is now OPEN online. Please click Online Registration and get registered today. Our FINAL registration date for 2018 Fall Cheerleading is 5pm 6/16/18. Due to the production time it takes for our cheerleading uniforms to be made, we will not be able to register anyone after 6/16/18. Fitting Dates 6/16 230-5 & 6/18 5:30p-8p. It is mandatory that you are at one of these two dates. Please wear swimsuit or sports bra to the fitting because you will be trying on uniforms. Fittings will be in the pressbox between fields 3 & 4. Camp Dates ﻿ 7/19-7/20 6p - 8pm at Ola High School. Camp will be put on by the Ola HS Cheerleaders and Coaching Staff. 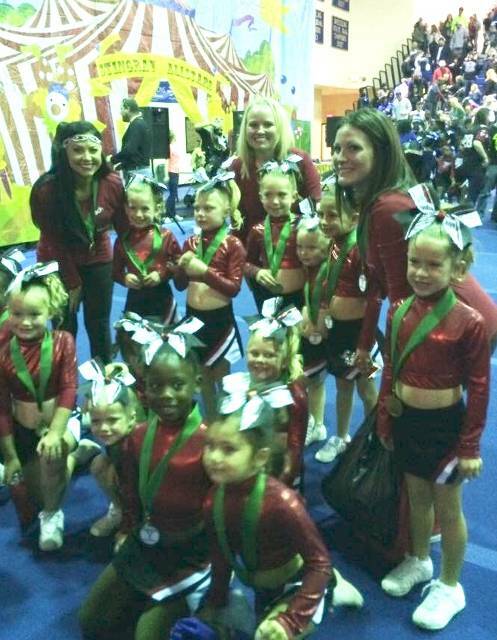 Our cheerleading teams compete in one competition at the end of the season (Nov). We compete at the Stingrays Circus Jam each year. We have been extremely satisfied with the competition among the teams and how well they run Circus Jam. Sideline teams will cheer at Football games for their team at Home & Away games. We are currently looking for Coaches with cheerleading experience. If you wish to volunteer, please click here and one of our directors will get back with you. Onsite Registration Days will be Saturdays in June at Warren Holder Park in the Field 1&2 Pressbox from 10am-2pm. This year we have put a CAP on the number of players that can be on each team. Once a team/age group is full, registration will be closed for that team/age group. Anyone that registers after an age group is full will be put on a waiting list and if there are enough players and someone volunteers to coach that team, registration will be opened for the people on the waiting list only. Please register early to secure your spot. We would like to invite you to join the Locust Grove Youth Football & Cheerleading family. LGFCA is a family oriented association that has been a part of the Locust Grove community since 1997 and offers two levels of football, Division I (SYFC) and Division II (SYFC). LGFCA practices the ideals of leadership and sportsmanship. Our program teaches lessons of value far beyond the playing days, such as teamwork, discipline, concentration, leadership and sportsmanship. We will do our very best to ensure each child is utilized to his or her utmost potential and talent. We know that each child is unique and develops at his or her own pace. We will exercise their bodies and minds in an effort to develop the skills needed to execute the game of football and cheerleading. 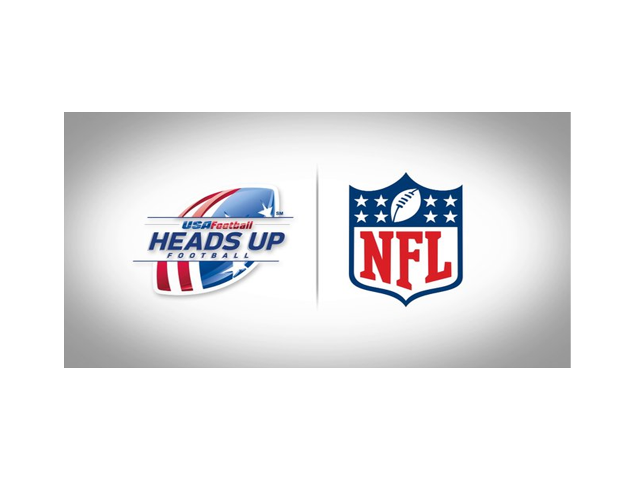 As a member of USA Football’s Heads Up Football Program, we want to assure our parents that we are doing the very best with regards to safety and instructions. Each new coach will go through an orientation, as well as, obtain a certification with USA Football Coaches Association and a mandatory background check. We are very excited about the upcoming 2017 Football & Cheerleading season and would love the opportunity to teach your child. Onsite Saturday Registration days are Saturdays in June TBD from 10a-2p at Warren Holder Park in the upper field press box. 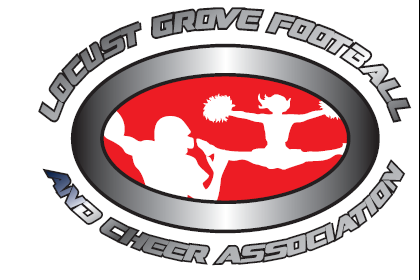 Online registration is open 24/7 at www.locustgrovefootballandcheer.org. Football and Cheerleading registration will be open until June 16th. Cheerleading registration is $225 and includes Uniform Top & Bottom, Briefs, Shoes, Pom Poms, Registration Cost & Insurance. Cheerleading uniform fitting TBD 530p-8p. All cheerleaders must be present one of these two days. 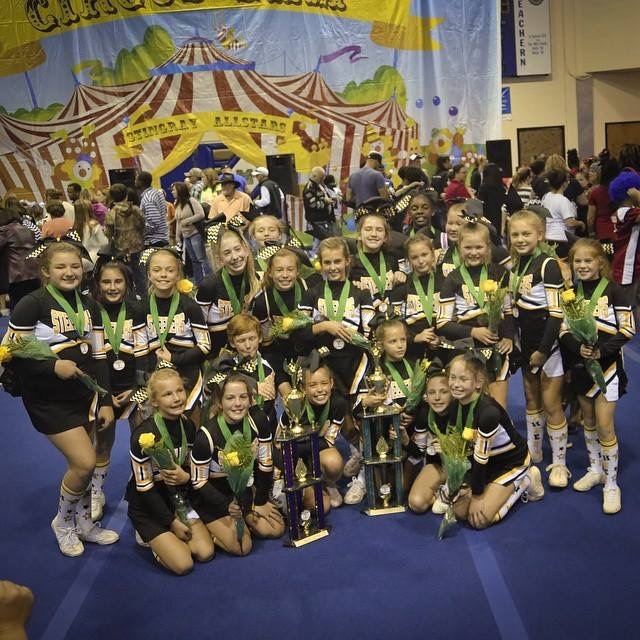 Out-of-County Registration Fee: Cheerleading $265.00 PER PLAYER for all Non-Henry County Residents. 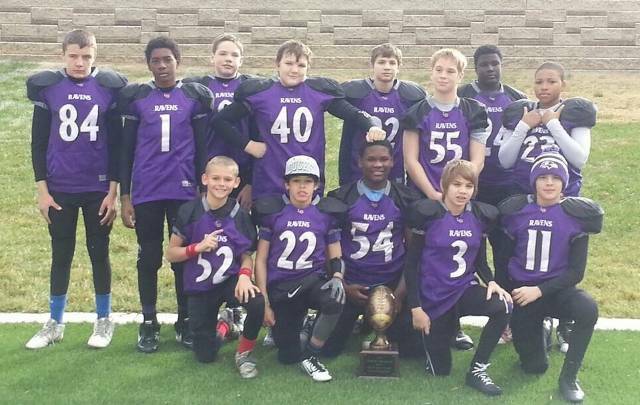 Football registration is $225.00 5U – 12U (using LGFCA Equipment), $185.00 5U – 12U (providing your own shoulder pads & helmet) and $150.00 4 yr. Old League and includes Games pants and jersey, rental of helmet and shoulder pads, registration cost, league fees, referees and insurance. Out-of-County Registration Fee: Football $265.00 PER PLAYER for all Non-Henry County Residents using LGFCA equipment & $225.00 PER PLAYER for all non-Henry County Residents using their own equipment. Football Camp Dates TBD 630p-8p at WH park. Camp will be hosted by Ola HS & Locust Grove HS players and coaching staff. Cost of camp is $35.00. Due to popular demand, LGFCA is now offering 4 year old tackle football for the fall season! Register online anytime or in person on any Saturday in June from 10 - 2 at Warren Holder Football Park. We'll be upstairs in the press box between the lower fields. Congratulations to all of our LGFCA cheerleaders. They performed yesterday at the Stingrays 5th Annual Circus Jam Competition and did very well. Way to go!!! 9U Falcons win the Super Bowl! 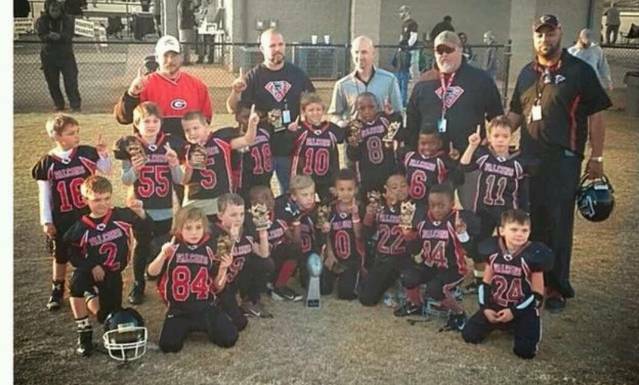 Congratulations to the Locust Grove 9U Select Falcons for their Super Bowl win!!! Congratulations to the Locust Grove 6U Falcons on their Championship win!!! 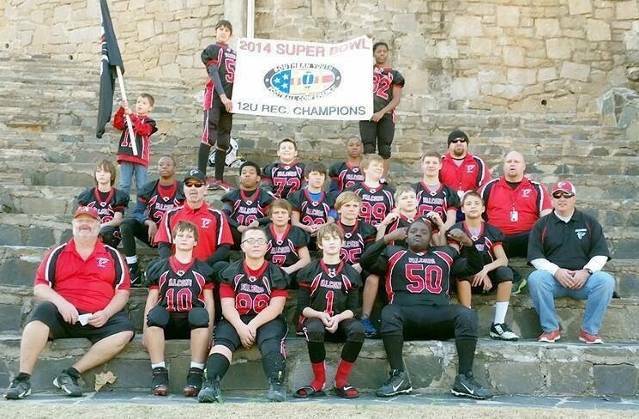 Congratulations to the Locust Grove 12U Falcons for their Super Bowl win! We would like to invite you to join the Locust Grove Youth Football & Cheerleading family. LGFCA is a family oriented association that has been a part of the Locust Grove community since 1997 and offers two levels of football, Division I (SYFC) and Division II (SYFC). LGFCA practices the ideals of leadership and sportsmanship. Our program teaches lessons of value far beyond the playing days, such as teamwork, discipline, concentration, leadership and sportsmanship. We will do our very best to ensure each child is utilized to his or her utmost potential and talent. We know that each child is unique and develops at his or her own pace. We will exercise their bodies and minds in an effort to develop the skills needed to execute the game of football and cheerleading. Our Division I Football Program is made up of select teams, with more experienced players, playing in the Southern Youth Football Conference. Our Division II Football Program offers your children an opportunity to develop their skills at a pace which is not as demanding as Division I, playing in the Southern Youth Football Conference as well. 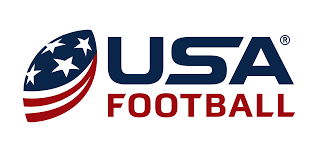 As a member of USA Football’s Heads Up Football Program, we want to assure our parents that we are doing the very best with regards to safety and instructions. Each new coach will go through an orientation, as well as, obtain a certification with USA Football Coaches Association and a mandatory background check. We are very excited about the upcoming 2016 Football & Cheerleading season and would love the opportunity to teach your child. Online Registration is currently open and On-Site Registration will begin in June. LGFCA is now on Instagram!